Ocado’s share price has surged by over 45 per cent after the grocery group announced it had signed its fifth international deal. Under the new agreement, Ocado’s technology will be used for the first time in the US by grocery firm Kroger. 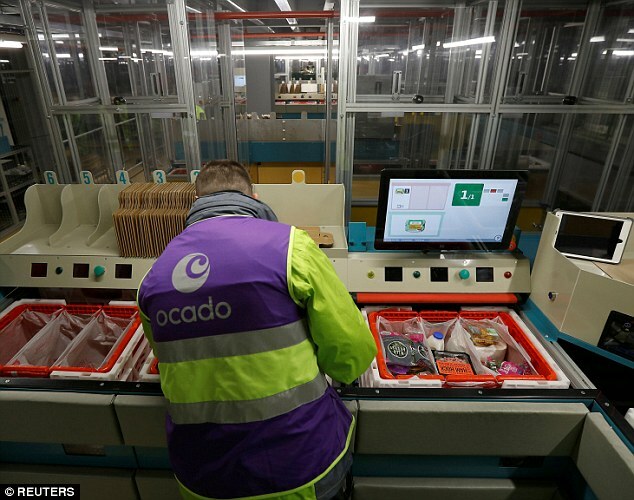 As well as getting exclusive rights to use Ocado’s technology for its operations, Kroger will get a 5 per cent stake in UK-based Ocado. 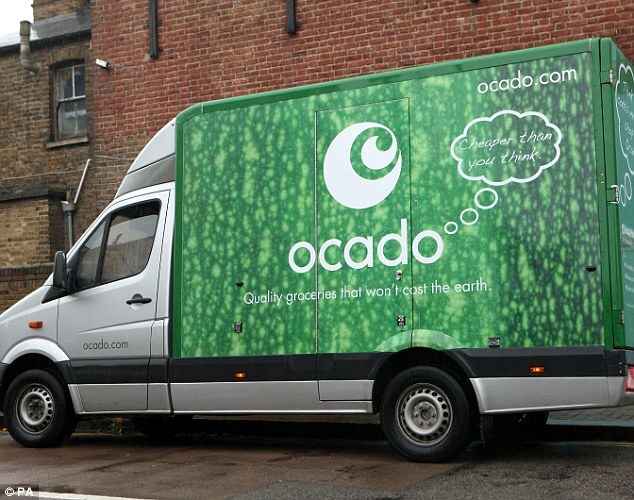 Ocado’s share price is up 45.91 per cent or 253.40p to 805.40p. The deal marks Ocado’s latest effort to focus on securing technology-based deals overseas rather than operating as a straightforward online grocery seller within the UK. 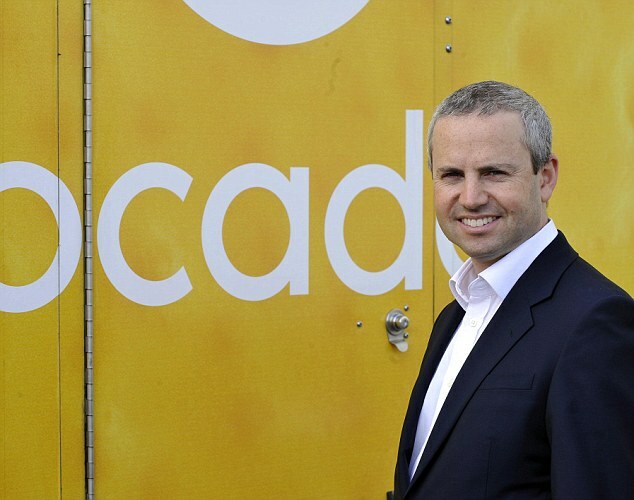 Lee Wild, Head of Equity Strategy at Interactive Investor, said: ‘Ocado was a marmite stock for years, and only last November when it struck a long-awaited international deal in France did attitudes change. ‘Further overseas deals cemented share price gains, and soothed valuation concerns. As part of the partnership, Kroger will subscribe for 33million new shares in Ocado, which is equivalent to 5 per cent of its current share capital, at a value of £183million. If ‘target capacity’ levels are not reached and sites are not found, Kroger will end up paying ‘compensation’ to Ocado, the latter’s announcement of the deal on the London Stock Exchange revealed. Tim Steiner, chief executive of Ocado, said: ‘The opportunity to partner with Kroger to transform the way in which US customers buy grocery represents a huge opportunity to redefine the grocery experience of Kroger’s customers and create value for the stakeholders of both Kroger and Ocado. Kroger is, according to Ocado, one of the world’s biggest grocery retailers, and a market leader in the US, with sales $122billion worth of sales in the last fiscal year. The group has 2,800 stores, serving around nine million customers each day. For Ocado’s investors, the group’s flurry of deals could not come soon enough. The Kroger US deal is the latest in a string of overseas partnerships Ocado has struck in the past year, including in Scandinavia with Swedish supermarket group ICA, in France with supermarket giant Groupe Casino and another in Canada with Sobeys. In the UK, Ocado works alongside Morrisons.